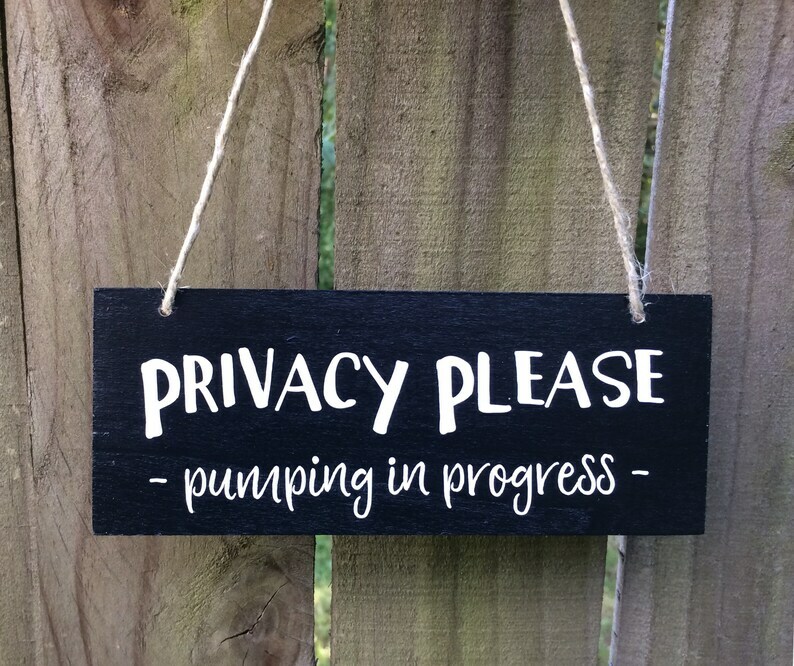 This sign is a wonderful little gift for a breastfeeding mother who needs a private place to pump. It's perfect for work to guard against unwanted intrusions, especially if a less than optimal / not so private pumping space is provided. Mom can hang this on the door so her coworkers or students don't accidentally crash the pumping party. I offer this sign in many colors. Check out the other signs in my shop and you can request any color you see.